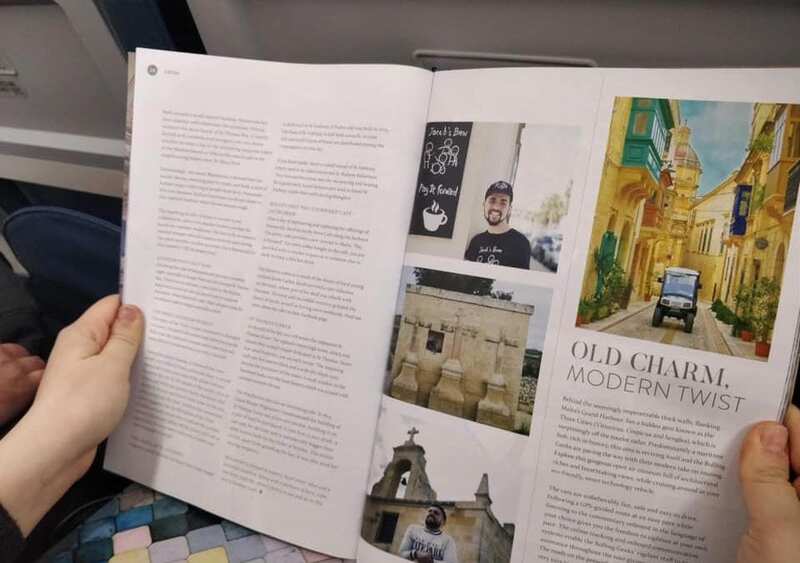 A little over a year ago we wrote to Bizzilla Magazine (an inflight magazine that is read by thousands of tourists traveling to and from Malta via Airmalta) to discuss the possibility of our shop Jacob’s Brew – Pay It Forward getting a mention on their publication so as to entice tourists to Marsascala. Well at first they were very iffy about it all as normally they would charge a fee for mentioning a commercial establishment on their magazine, but as many now know our little coffee shop with a big ♥️ is different in so many ways in all that we do. The coffee shop is just the forefront of something so much bigger than that; instigating and funding our projects and initiatives; all of which are focused on helping to support and better the lives of families facing trauma. Once upon a time that family was us and after surviving our own trauma we have vowed to continue to pay it forward to other families facing hardship through our support group/NGO Survivors Malta! Anyway to cut a long story short … finally last month they published an article in their latest edition of the magazine about Marsascala whilst also mentioning Jacob’s Brew and other landmarks to visit here! !